Own developed controller achieve 0.1μｍ infeed and easy to operate. ・Adopt bridge (double column) type effect stabile infeed, high accuracy.eazy loading/unloading due to lower position and wide open chuck area, because spindle unit traversing on double column slideway.Table designed lower position for easy loading/unloading; widen and open area for easy operation. ・Own developed controller is control Vertical infeed and Cross infeed by AC servo motor.Min. Vertical infeed setting is 0.1μm. ・Automatic cycle is Coarse grinding ⇒ Fine grinding ⇒ Spark-out ⇒ Stop at Out side stroke end.During automatic cycle interrupt to add step infeed, also possible to change table rotation speed, total stock removal, table step less speed. Standard conversational software enable grinding up to 4-steps grinding, grinding mode is traverse or plunge selectable. ・Adopt bridge (double column) type effect stable infeed, high accuracy.Grinding spindle travelling bridge (double column) slideway stable infeed without transformation.Table designed lower position for easy loading/unloading and wide open area for easy operation. ・Table can be inclined.Table inclined with simple operation, having convex or concave parts or cutlery grinding. ・Necessary data input only and follow standard conversational screen, and to have automatic cycle is feasible. For high accuracy gap grinding with super high speed spindle unit, CD Rom die and circular precision blade. ・Variable Pressure adjust type Hydrostatic slide system, Table air bearing can achieve 0.3μm/φ300mm Flatness & Parallelism. 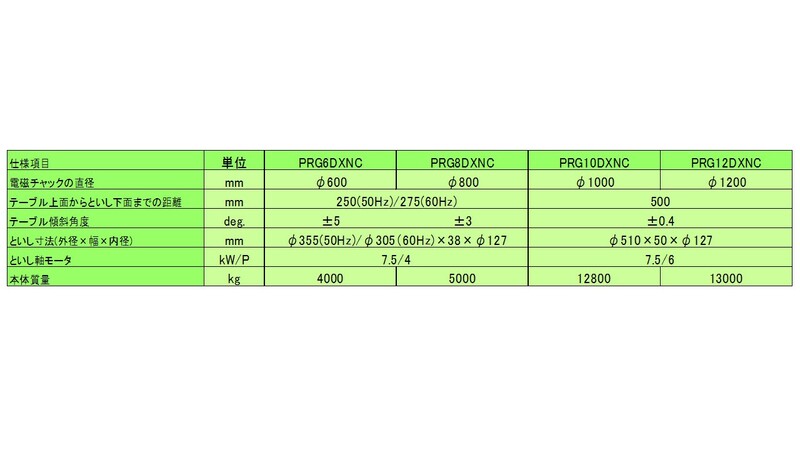 ・Adopted Air bearing have 0.05μm Radial & Axial rotation accuracy. 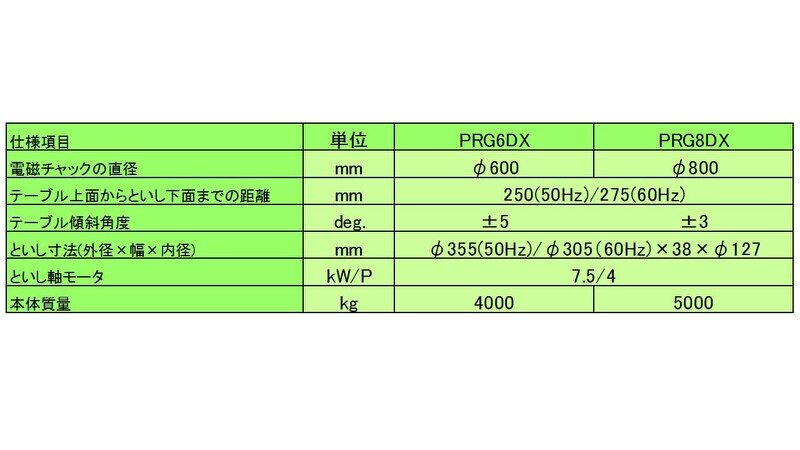 ・Vertical downfeed is min. 10nm. Custom made machine specifically by application and demand.